Over a year has passed since the disaster struck, but pets and their owners in Tohoku area still need continued support. In such situations, we are happy to announce that we have received warm support from abroad. The Humane Society International, one of the world’s largest animal welfare organizations, donated 100,000 U.S. dollars, and Animal Donation will be donating the entire sum to Save Animals in Iwate. 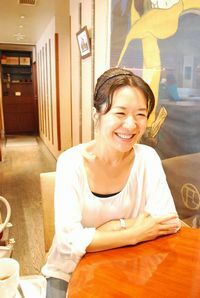 Animal Donation has interviewed Kelly O’meara, the Humane Society International’s Director of Companion Animals and Engagement, and Sakiko Yamazaki, the Humane Society International’s Japan Specialist Consultant. What is the purpose of the donation? And how will the funding be used? The Humane Society International (referred to as HSI from hereon) wanted to directly help displaced people and their pets, and offering subsidized veterinary services seemed a good way to do this. HSI realizes that in many cases, people’s pets may be all they have after this tragic disaster, and while veterinary care is still a necessity, it may be out of financial reach for those still displaced. HSI in partnership with the local group Save Animals in Iwate (referred to as SAI from hereon) can offer subsidies for these veterinary services for those families and their pets in need. Could you please tell us how the funds were collected? The magnitude of this catastrophic disaster prompted the outpouring of support from around the world. People and animals are of foremost concern during disasters, and the international community turns to organizations such as HSI to help animals in need through their donations. Do you have a message for those impacted by the disaster? HSI is delighted to partner and support the local animal welfare groups who are carrying out a difficult recovery mission in the aftermath of a devastating disaster. 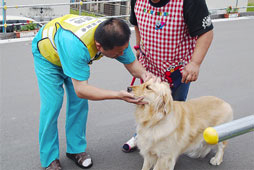 HSI hopes to offer aid to displaced Japanese people through the direct care of their pets. What are the benefits of working in partnership with Animal Donation, if any? Animal Donation proved to be a good partner in identifying the most impactful and direct way for HSI to help people and their animals affected by this disaster. Please tell us what you do as a consultant for HSI. I serve as a pipeline between HSI and animal-related stakeholders who are engaging in animal rescue activities in Japan when HSI provides support. I am in charge of liaison, coordination, and negotiation so that the support that HSI provides for animal rescue work in Japan is delivered without delay to the appropriate places. In addition to this, I am also involved in a survey of pet owners impacted by the East Japan Great Earthquake so that we will be able to apply the lessons learned from the animal rescue work during this disaster to future animal relief work in different parts of the world. Please tell us how the donation came about. HSI wanted to provide support that would directly impact local communities affected by the disaster, so we were looking for an organization that was providing direct aid to these local communities as a place to make donations. As we were looking for a place, veterinarians and members of animal welfare organizations who were interested in providing aid to the communities in Iwate Prefecture decided to establish Save Animals in Iwate (SAI) as an organization that could receive the donation from HSI. SAI is currently supporting owners and their pets by subsidizing veterinary care, and HSI has provided financial support for their activities. How is the funding impacting and shaping animal recovery efforts? As mentioned previously, we have requested SAI to provide direct aid to disaster affected animals in the local communities, and thus, the activities of SAI consist of directly subsidizing veterinary care that these animals need. For pet owners who have been heavily impacted by the disaster, veterinary care for their animal family members may be a serious financial burden. In such situations, we hope that forms of support that would alleviate this financial burden and lead to the improvement of the quality of life for both animals and their owners would ultimately contribute to the recovery of the entire community. Do you have a message for SAI? HSI chose an organization that would base its animal rescue efforts within local communities, like SAI, because we wanted to provide support that would directly impact the local communities in need. I hope that working in cooperation with SAI would provide as much help as possible to disaster affected animals and their owners. 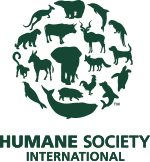 The Humane Society International (HSI) is one of the world’s largest international animal welfare organizations and works to improve the welfare of animals all over the world – small companion animals, farm animals, working equines, and wildlife. The HSI implements a wide range of activities related to animal welfare. It directly impacts the welfare of animals in local communities by providing humane education, population control solutions, and training programs for animal-related professionals. It also launches campaigns to impact policies which would affect the welfare of animals, and it provides support for animal relief work during and after disasters. In addition to these activities, as a support and an advisory organization, the HSI also provides funding for such activities related to animal welfare and also conducts research for the purpose of improving the welfare of animals. 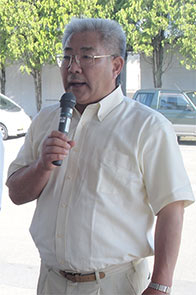 During the East Japan Great Earthquake, the HSI has worked with animal-related organizations in Japan and has provided support for animal relief work such as funding the construction of Miharu Shelter in Fukushima Prefecture and providing financial support for the activities of Save Animals in Iwate through Animal Donation. 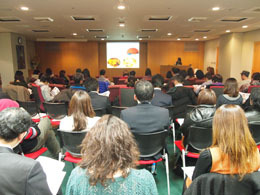 In order to contribute to future animal relief work, the HSI has also been working on documenting the lessons learned from this disaster such as funding a study on the impact of radiation on animals that have been affected by the nuclear accident and implementing a survey of pet owners impacted by the disaster. Animal Donation is a donation site that has been created to put into action “what we can do for animals.” By being able to support the areas affected by the disaster in such ways, Animal Donation feels its social significance as an animal welfare-related organization. Animal Donation will continue its activities in hopes that this donation ends in success and that this activity leads to the happiness of as many pets and their owners as possible. Animal Donation is planning to upload reports on the activities of SAI from now on. 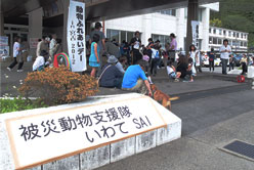 「被災動物支援隊いわて – Save Animals in Iwate(SAI) -」の活動を紹介します!